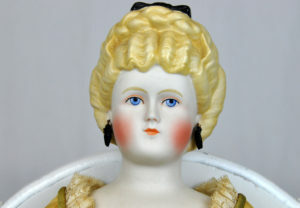 Shop here from our unique selection of vintage antique dolls for sale. 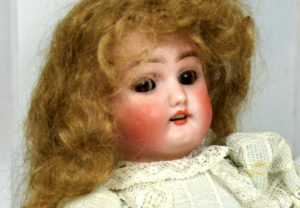 Dolls of this age are all rare in the sense that they aren’t readily available to begin with, but on top of that you’ll find that no two will ever be in quite the same condition, and they’re almost never dressed the same way. 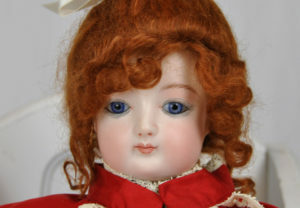 We’ve done a lot of research on this collection, and while we might be able to find dolls from the same manufacturer for example, there were still major differences and we couldn’t find anything close to exact matches. 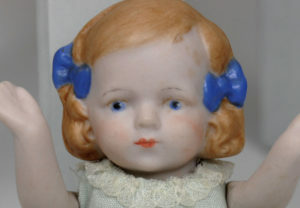 Some of these dolls have been appraised by professionals. 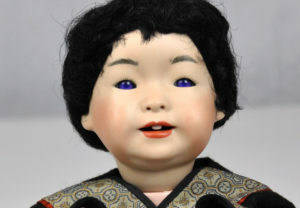 With others, we did the best we could by pricing similar dolls. Click through our listings below to see more details, and also feel free to use our “Make Offer” button on the detail pages. 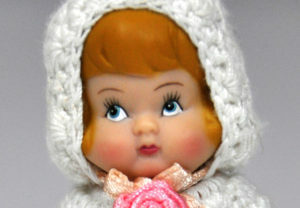 Miniature figurine made in China doll. 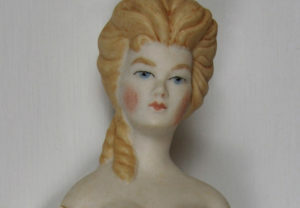 She's in nice shape and she's's cute, so we're letting her go for $15.00 with free shipping. She measures 3-1/2 inches tall.